Tidy home, tidy mind. 4 words to live by, everyone feels better with an organised home. Every few months I completely reorganise and deep clean, leaving me feeling incredibly zen. The only problem is, I hate cleaning and I hate chores. I’m an inherently lazy person. So I have collected many shortcuts and hacks along the way. Possibly the simplest trick out there, when your wood has minor damage, bumps scrapes or scratches, you can restore it to its original beauty by rubbing a walnut on it. As you drag a walnut along the surface of the wood, the walnut degrades into fine material which packs very tightly into the scratched surface of the wood. Walnut’s color also goes very well with light or dark wood, making it the perfect table top companion. Companies like Wowzr are selling Food Storage Containers that completely stack flat on top of each other. These are completely dishwasher and microwave friendly, look great and can store a huge amount of food. But when you are done they fold down on top of each other and take up a tiny amount of space to be put away in your cupboards. These food storage containers can absolutely revolutionize your life. As you can tell I love quirky storage solutions, and we have candles lit all year round, so I like to make sure my matches are handy at any time of the day. What we have started doing, is filling a mason jar full of matches, and cutting a small hole in the lid to easily shake them out. Next, we attached a small circular piece of sandpaper to the top of the lid with some superglue (it’s a good idea to put a piece of card underneath first to make sure it’s sturdy. As long as the matches are strike anywhere matches – you now have a gorgeous and handy container that you can store near your candles, and easily pop out a match any time you need some fire! 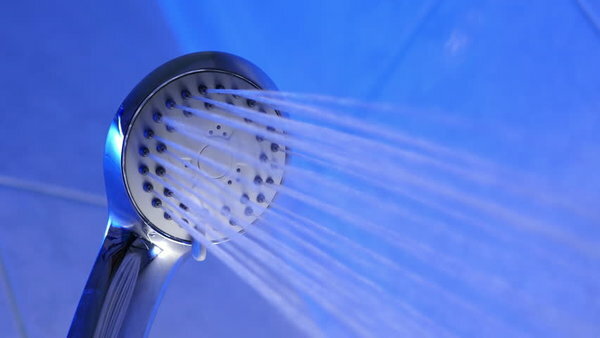 Descaling a shower head is never a fun job, but with this handy tip you’ll be done in no time. Firstly, remove the shower head from the hose and pop it into a bucket. You then fill the bucket with white vinegar until the shower head is completely submerged. The acid in the vinegar will break down any mineral deposits in the shower head such as lime scale. Leave the shower head in the bucket for at least 30 minutes, I soak mine overnight but if it is made of brass you will want to take it out after half an hour. Secondly take the shower head out and give it a once over with an old toothbrush, this will remove any residual mineral deposits. Finally, polish and dry with a soft cloth and replace the head – just make sure to give it a test blast to push out any loose minerals that you couldn’t reach with a toothbrush. Et Voila, 4 unbelievably easy tricks that will dramatically speed up your spring cleaning. What are your favorites? Let us know in the comments. Next: The Adsterra Review – Everything you should know! How to Start Private Browsing Session in Google Chrome?